mini CORI-FLOW series, compact Coriolis Mass Flow Meter / Mass Flow Controller for very low flowrates and for liquids and gases. Compact design, housing according to IP65 classification and also ATEX Cat.3 Zone 2 approved. With analog or digital output for mass flow (RS232 and optional fieldbus), secondary digital output for medium temperature and density. 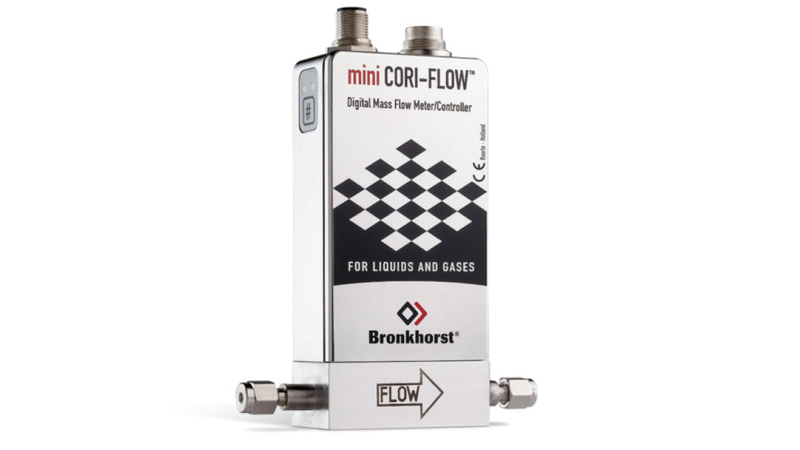 World&apos;s smallest Coriolis Mass Flow Controller!